is how few people are listening to the radio. I am not sure whether it has always been a generational thing- those of a certain age do not listen to it- but more and more people are turning to podcasts and other sources for music. Until a couple of years ago I was turned off by radio: The ‘mainstream stations out there were starting to really annoy me. I have respect for B.B.C. Radio 2 as it features a mix of new music and older stuff. Whilst there is a good range of music I tend to find there are a lot of negatives and drawbacks. The presenters are amiable enough but not really that engaging (or funny): The shows never really capture the imagination and it is not exactly cutting-edge. Radio 1 prides itself on speaking to the youth of today: That comes at quite a bit cost too. The presenters on the station (with the exception of a few) tend to be inarticulate, unlikeable and really irritating. They (Radio 1) are good at highlighting some great under-the-radar music; they tend not to feature a lot of vintage/historical sounds. Away from B.B.C. 1 and 2, there is not a lot of choice. B.B.C. 6 Music is one of the best stations around. They have that knack of mixing brand-new music with older: The presenters are quite engaging and have a certain charm to them. I find the station does not really go far enough- whether they are constrained by genres/expectations. My favourite radio station- and one of only a few in the U.K. who come close to being decent- is Absolute Radio. I listen to the station every day and it ticks all the necessary boxes. The hosts/presenters are engaging, entertaining and funny- Christian O’Connell, Frank Skinner and Andy Bush are the best in my mind- and have such a passion for music. The music played is varied- with very few repeats- and you get a good spread of genres and tastes. With its sister stations- Absolute ‘90s etc.- providing defined and particular music; Absolute Radio has amassed quite an empire. Whilst one of the best radio stations in the U.K.; there are still problems and limitations. One of the biggest issues is advertising. Radio stations need to play adverts to gain revenue I understand that. The problem is that I- among many people around the world- absolutely despise adverts. They are hideously unfunny and embarrassing: Often mindlessly stupid and annoying; they are a plague on radio and YouTube- having to sit through stupid adverts before you get to hear/see a video on YouTube is one of life’s evils. Absolute Radio has an issue of playing similar artists/songs. I know they broadcast for many hours a day- seven days of the week- and there is always going to be overlap and repetition. I feel the station is not as varied and diverse as it could be. There are so many songs available- hundreds of thousands- and they do not really push hard enough in my mind. Certain artists are played obsessively: There are people in the world (like me) who do not want to hear Foo Fighters endlessly (can’t stand the band) and need to hear something different. Whilst one of the more cutting-edge and cool brand out there; the station does let a few rather dodgy bands get onto their rotation- Nickleback feature far too heavily in my mind. Another issue with Absolute Radio is the fact it is under-the-radar (not their fault). Whilst B.B.C. Radio 1 and 2 are the most popular in the U.K.; Absolute’ are one of the underdogs that deserve more attention. I feel if they were given the same exposure and audience as B.B.C. Radio 1 and 2- who have far more flaws then Absolute’- then something wonderful could happen. My point remains this: There are only a couple of radio stations out there that come close to ‘perfection’- doing what a great radio station should do. What is to be done? The Internet has a few stations/podcasts that have that potential to rise to the mainstream. With fewer constraints and expectations; they are free to broaden their horizons and do something unique and unrestricted. To my mind, there are still not enough stations that push hard enough and leave impressions in the mind (unless I am missing anything). A lot of podcasts/stations are too niche and singular: Focusing on a particular style of music/genre. If you do not have to worry about advertising/audience expectations then why confine yourself? Musicians are free to create whatever music they please: Why then are radio stations becoming so tame and conformist? The evergreen staples- Radio 1 and 2- are always going to get big audiences of a day. The younger (or ‘yoof’) market will cling to Radio 1 as it provides the type of music they want to hear. Radio 2 appeals more to the middle-aged/old-age sector with its more contemporary and mainstream tastes- doing a good job of ensuring bygone music is given a good showing. It is important to represent audiences and draw age ranges in: Why can’t a radio station appeal to every listener out there? There are only a few mainstream stations- B.B.C. 6 Music and Absolute Radio- that make an attempt at this. I get annoyed by how many horrible radio stations there are. In London you have Kiss F.M., Magic Radio, and Capital F.M. : Stations that ‘rock’ but are as far from cool and rocking as you can get. They play (predominantly) Pop music and play the sort of music most of us really hate- their main audience is the young females of the nation. Local radio is- with the exception of very few- a sorry and woeful affair. With unfunny and cloying presenters; constantly repeated music- the same six or seven songs spun all day- and nauseating competitions- I really do hate most of them. Living where I do; we have one of the worst local stations (Eagle Radio is tripe; Brooklands Radio is the best on show, mind) I have ever heard. Aside from the abysmal adverts- some of the worst and more embarrassing you will ever hear- the presenters are off-putting and constantly unappealing/unfunny. The music is the main concern: The quality and sense of diversity is seriously lacking indeed. Tonnes of overplayed older songs and chart-friendly fodder. No edge or any sense of class, alas! Unless the Internet is hiding some gems- it is often the case a lot of great stations/music are hard to discover- you have to rely on what’s out there. Too many people are sticking with iTunes/YouTube/SoundCloud for their music: Fewer younger people are listening to the radio and using it as a means of inspiring their mind and tastes. While the Internet has greatest depth and range- compared to what radio stations produce- I worry radio in general will be obsolete in generations to come. One of the biggest problems is the choice you have. So many stations out there but all playing different music: Can you realistic have your demands/tastes met with a single station? Unless you have an Internet station/application that can draw various stations together then you are in trouble. What you could do is have something that scans stations and provides music from each of them. First you can hear a song from B.B.C. 6 Music- based on your tastes this application would go searching for you- and after that you get a song from Kerrang! for instance. After that you my get some chat from Absolute Radio before a song from Absolute ‘90s arrive. It seems like an unwieldy and unnecessary way around things: Why not just create something original and new? Whilst it may not transcend to the big leagues straight away, there is a real opportunity to fill some gaping holes. I have been toying with the idea of starting a radio station: Starting on the Internet, it would go a lot deeper and further than what is already out there. I have a very broad taste in music and find it is not being represented and exploited on radio. It would be great to hear Miles Davis alongside Beastie Boys and Carole King. I understand a lot of people don’t have such ‘varied’ tastes; that is missing the point: Radio limits itself and is too hung-up on crafting a particular brand or model. Whilst I hate Radio 1 and find it seriously lacking; they are important when it comes to finding great new music and fresh sounds. Radio 2 is rather good- if stuffy and too safe- at keeping older music alive and burning. Even the cooler stations- Radio 6 Music etc. - are not variegated and all-inclusive enough. A station should exist that takes all tastes into consideration. You would not need to play all music across a single programme- a D.J.’s three or four-hour slot- but you could compartmentalise. One D.J. could focus purely on brand-new music. This would not just be limited to new mainstream music- the sort Absolute’, Radio 1 and most stations play- but artists that have to struggle hard to get their music played- the type that has to rely on local radio. 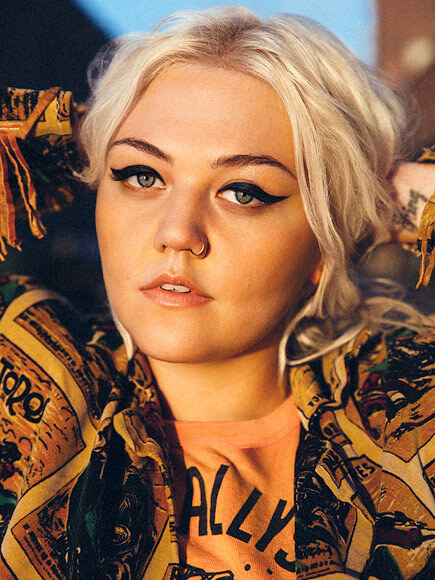 It would be great to hear songs from unheard-of bands- the sort I review quite regularly- play alongside Elle King, W.S.T.R.N. and Jack Garratt. I do not understand why it is left to local radio to play songs specific to their locality- mainstream stations are ignoring a huge chunk of music. I hear so much great talent around the world that does not get their fair shout. One of the issues is royalties and paying artists to use their music: Perhaps the financial burden is castrating a lot of aspiring stations and dreamers. It would be great to start a radio station (have it moored and based in London) that drew inspiration from new music fully: Focused on the mainstream’s best new acts in addition to those unsigned and across the Internet. In the same beat; older music needs to be kept burning bright. I find a lot of stations neglect genres and artists so many young listeners are missing out. Why should Jazz and ‘90s Dance music be confined to particular stations; why it the likes of Steely Dan are rarely featured across U.K. music- an act that should be inspiring young musicians. I do not have a name for it- one of the biggest issues going forward- but have a definite passion and goal. Perhaps not presenting myself- choosing the music and working behind-the-scenes- I would love to see something take shape. 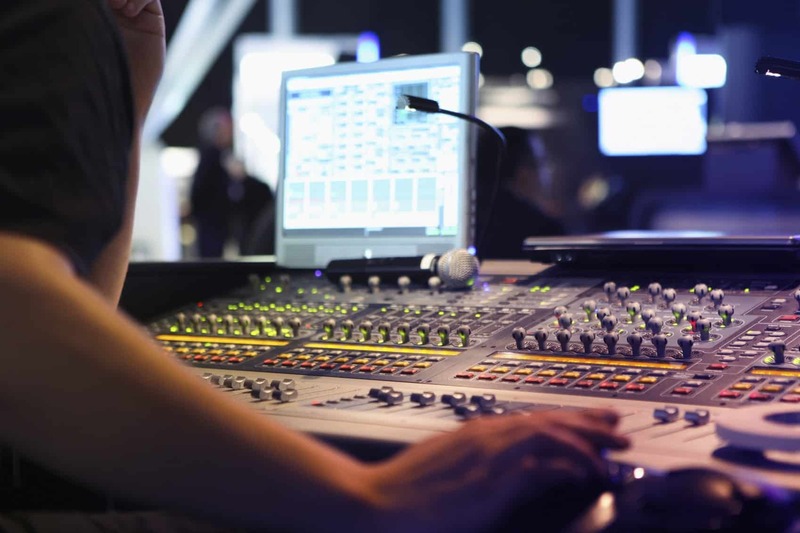 Getting a range of presenters together- perhaps from across the world- the station would encompass all music and make it easier for music enthusiasts to have their voices heard. It (the station) would bring in charismatic and funny presenters- the model Absolute Radio has thrown down- and restrict its advertising to the station’s website. That central website would be authoritative and complete. Listing all the music played- information about presenters and the station- it would go deeper and do a lot more. I have mentioned other plans I have- including a London music café and huge music website- that I would love to see happen. The station’s site would give a link to Psychoacoustics (the music website I have pitched) and would make it a one-stop-shop for every music lover out there. The station would also bring in charity and make it easier to raise awareness and funds- music events and concerts would be set up- and listen to market needs and the concerns of the audience. If something needed to be included or changed; we would make that happen for them. Of course there will be logistic challenges- getting money raised to set up the station; the problems of royalties and ensuring it was popular and heard- but things that can be achieved. With older music starting to overtake new music- in terms of downloads and popularity- for the first time in ages; it is vital radio stations step-up and do what ends to be done. It is hard to discover great older music through YouTube and the Internet- radio is the best device to rediscover some fine old tunes. New music is a sector that will get busier and more expansive as time elapses. Whilst a few stations promote new music consistently; they tend to confine their sights to those at mainstream level. We all hear gems across Facebook and Twitter but few are played beyond the boundaries of local radio. It is hard to represent all the fantastic music across the Internet: A new radio station could dedicate segments to that or sprinkle in songs between mainstream/older sounds. WHAT will the station be called?